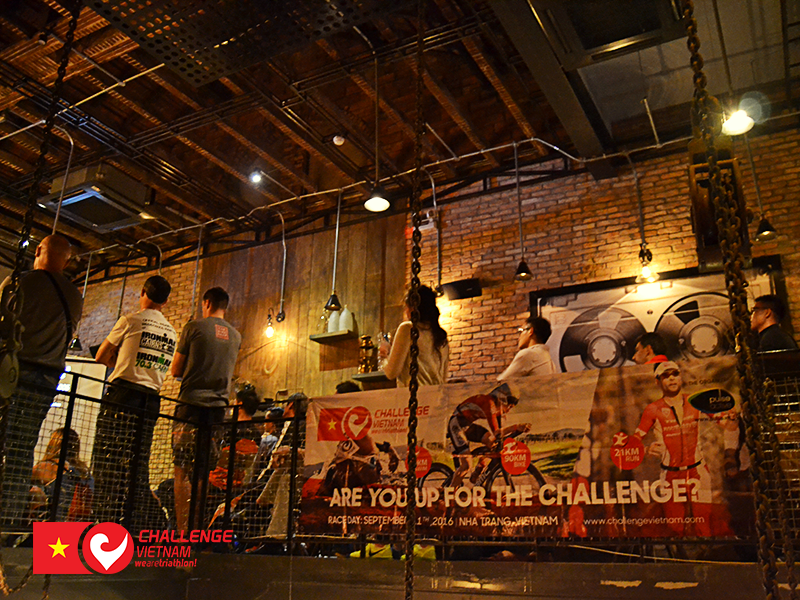 The Challenge Vietnam Athlete’s Night had its fourth and last stop this past Monday 20th of June, 2016. It was hold in Urban Bar + Kitchen, a modern bistro place near the French colonial neighborhood. Even it rained during that time, more than 50 athletes made it and joined the event. 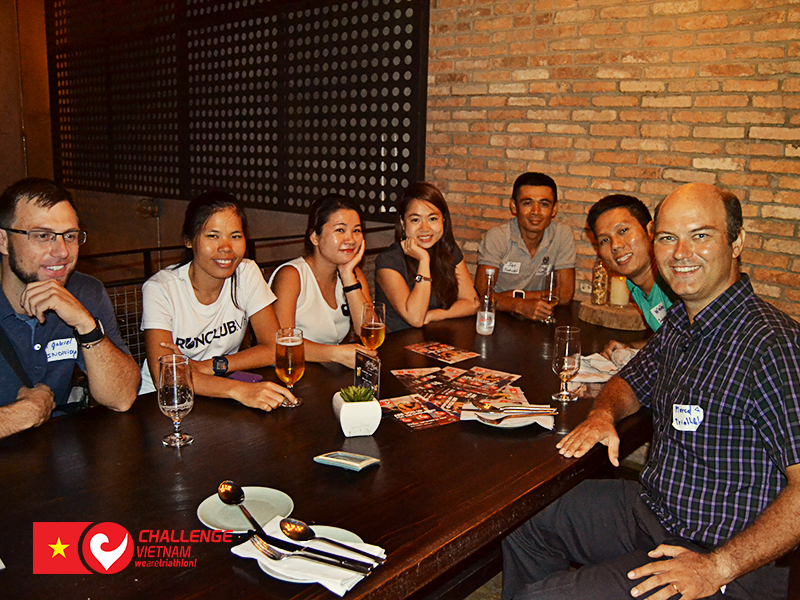 The night began with a brief presentation about Challenge Vietnam, followed by the launch of a new video which takes you to the waters and the roads of Nha Trang, where the triathlon will take place. Then, we had the honor of listening to two coaches from Philippines, Al Gonzales and Francis Diano. They talked about some tips for training smart for the triathlon and the importance of nutrition. 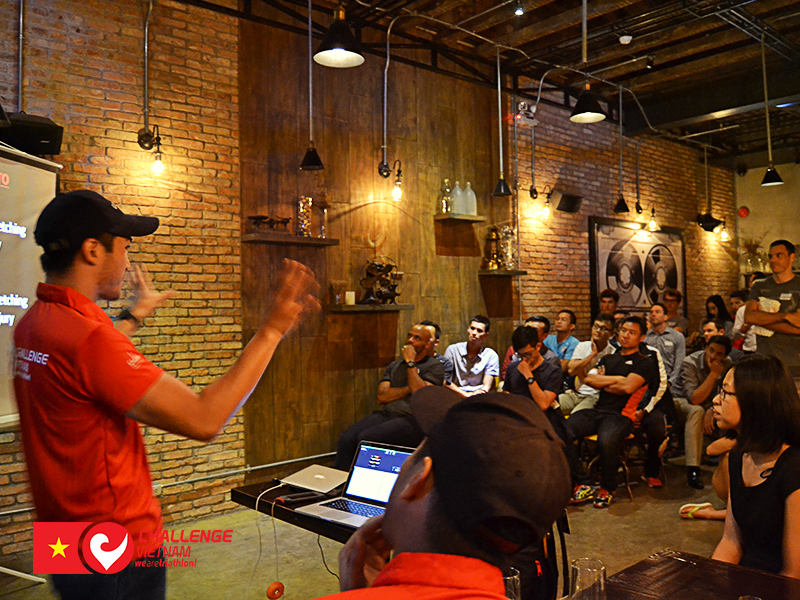 After the Q&A time with these two professional coaches, it was the most excited moment of the night, lucky draws for massage balls and 3 free slots for Challenge Vietnam! 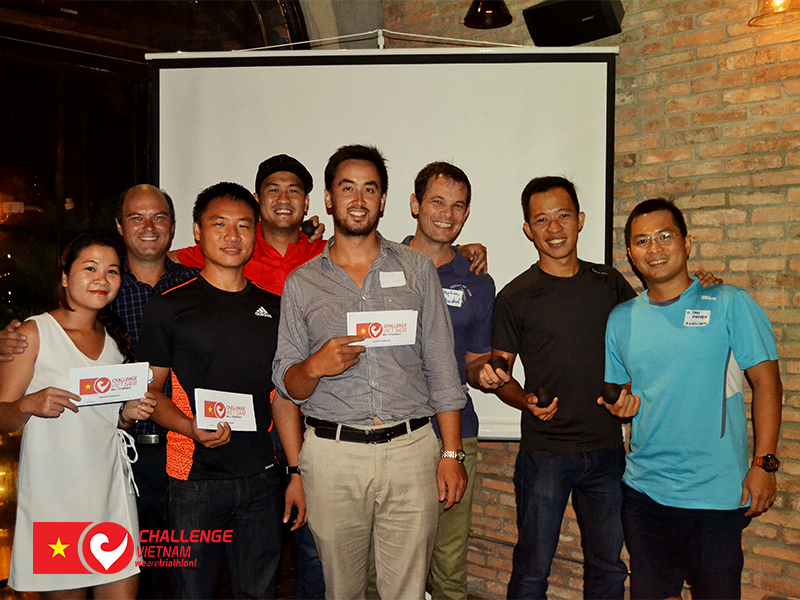 Two men and a woman won the free slots, we sincerely hope to see all of them again on the race day in Nha Trang! The event ended with joyful talks between all athletes who shared information about their trainings as well as their race experiences. 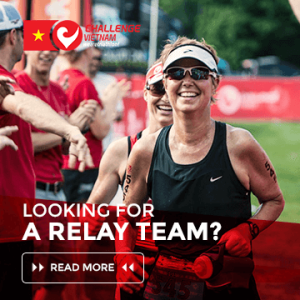 We hope that the different tips from both other athletes and coaches were interesting and that it motivates you even more to race Challenge in September! If you were there and you are brave enough to take the challenge, register now by clicking here.